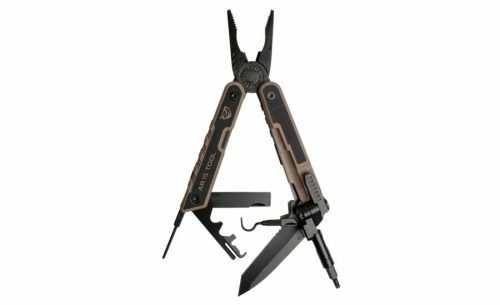 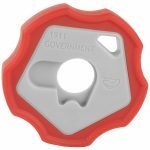 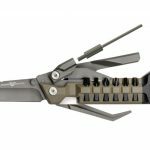 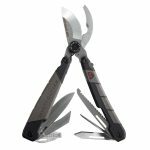 This folding X-Frame tool is clad with G-10 grip plates and is the most capable partner made for the AR15. It’s packed with precision-made, mission-specific tools. It removes carbon with ease from 12 critical bolt carrier group surfaces, makes repairs, helps customize, reduces malfunctions, and makes disassembly and reassembly fast and easy. 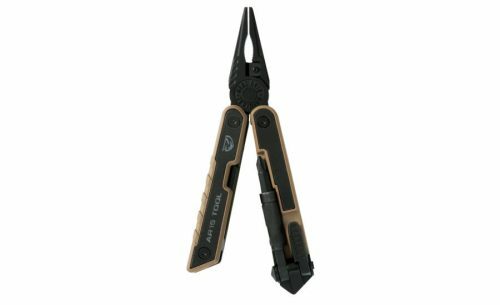 THE ULTIMATE TOOL, FOR THE ULTIMATE PLATFORM, AT THE ULTIMATE PRICE. 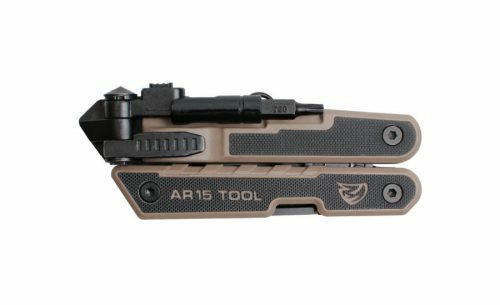 This folding X-Frame tool is clad with G-10 grip plates and is the most capable partner made for the AR15. 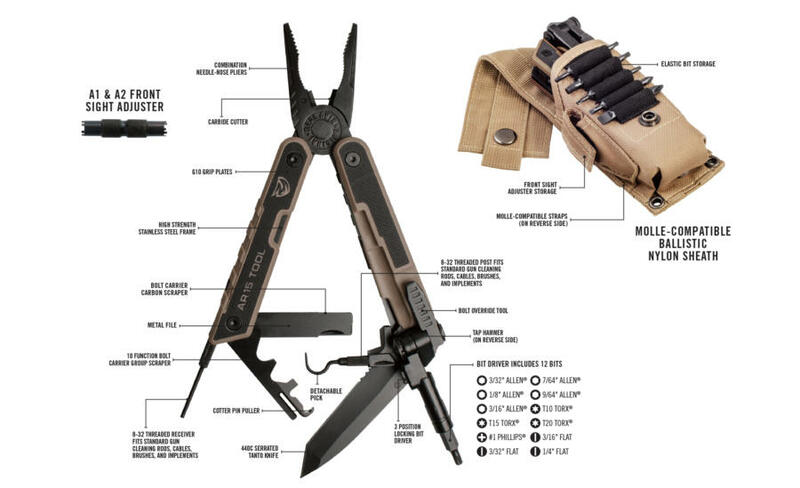 It’s packed with precision-made, mission-specific tools. 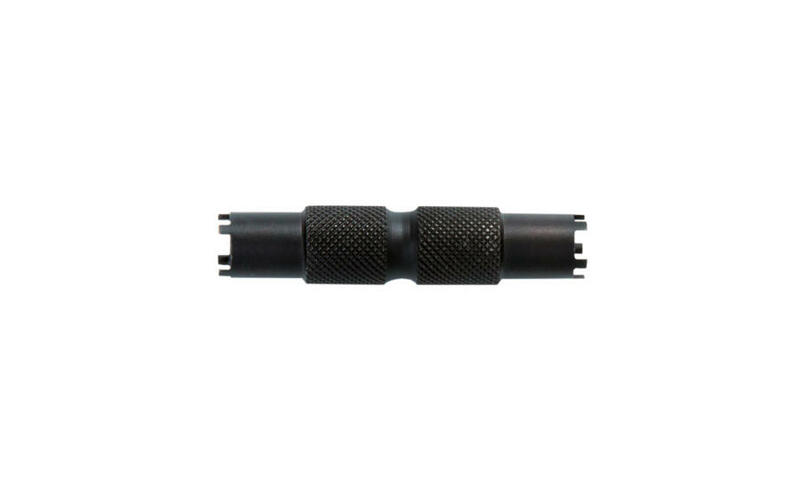 It removes carbon with ease from 12 critical bolt carrier group surfaces, makes repairs, helps customize, reduces malfunctions, and makes disassembly and reassembly fast and easy. 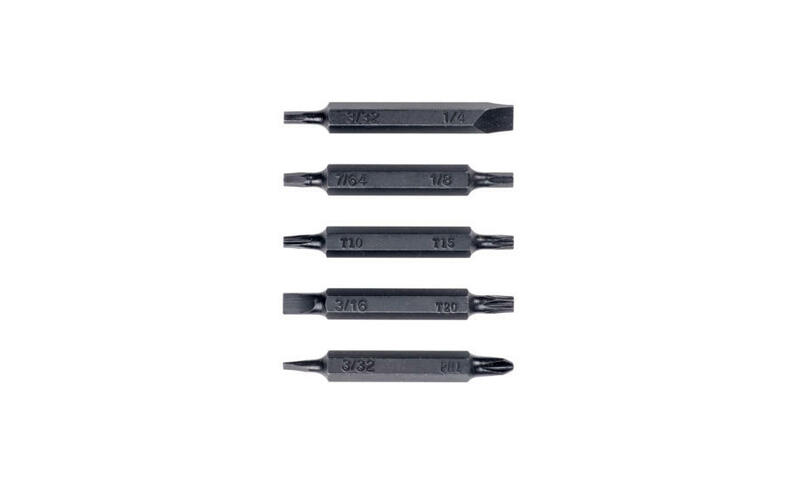 The integrated threaded post and receiver fits punches, picks, cleaning rods, and cables. 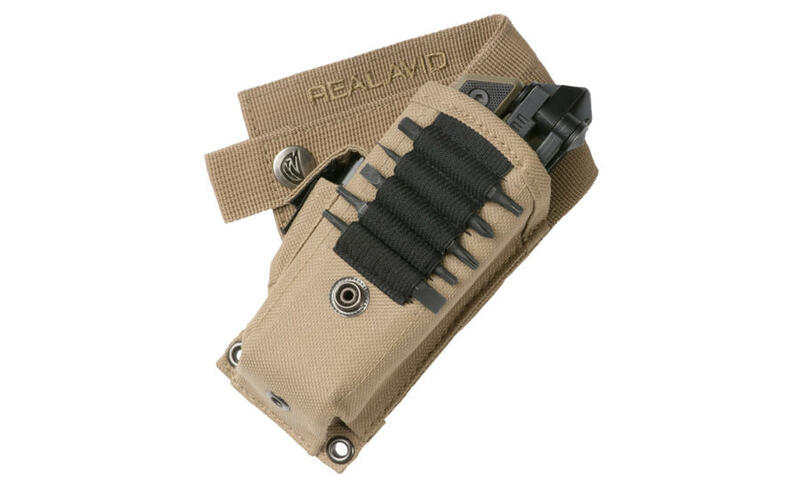 The tactical sheath is MOLLE-compatible and carries 10 additional bits and an A1 & A2 Front Sight Adjuster for even greater capability whenever and wherever you need it. Be the first to review “REAL AVID AR15 TOOL” Click here to cancel reply.